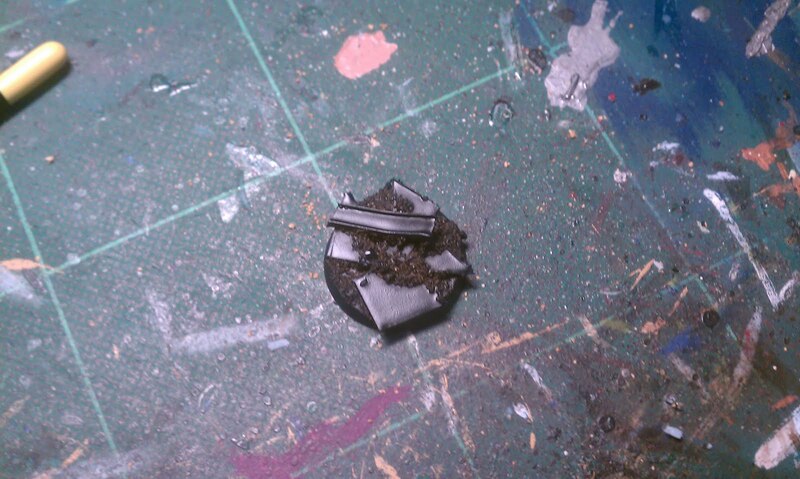 Not much going on with the blog of late so thought I would post a quick tutorial on how to throw together some easy to do but effective looking bases. Maybe we could make this 'How to' a regular monthly feature on the blog. 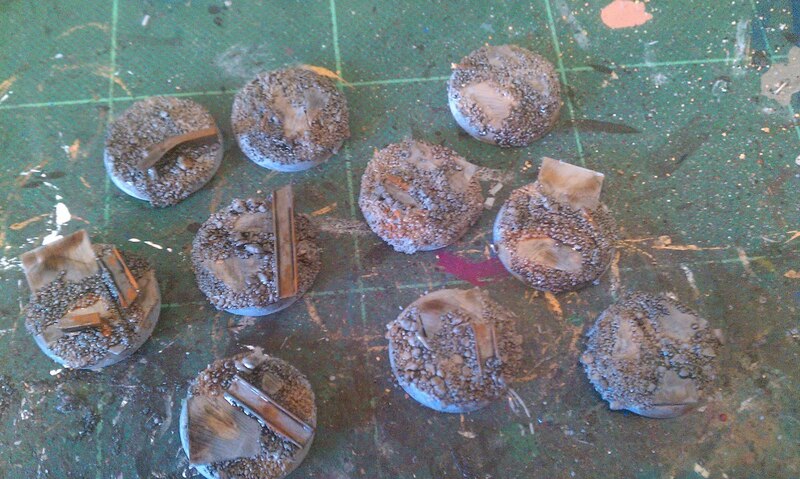 Next up: how to dry brush marines because apparently it's just not possible! 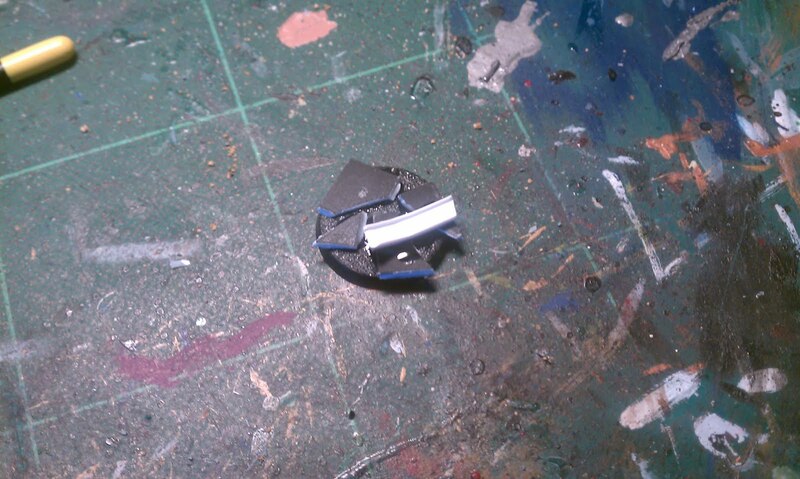 Step 1: Using super glue stick down any pieces of terrain you want. 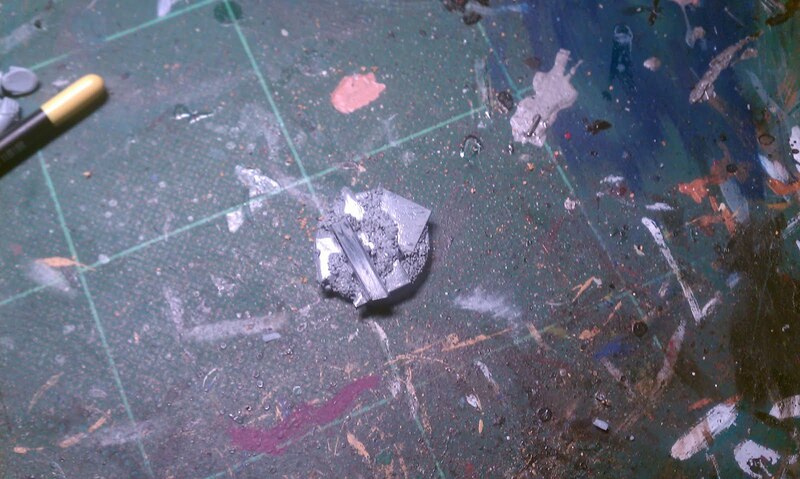 In this case shattered tile made from plasticard and a sheared section of 'I' beam also from plasticard. Bought from any good model shop. 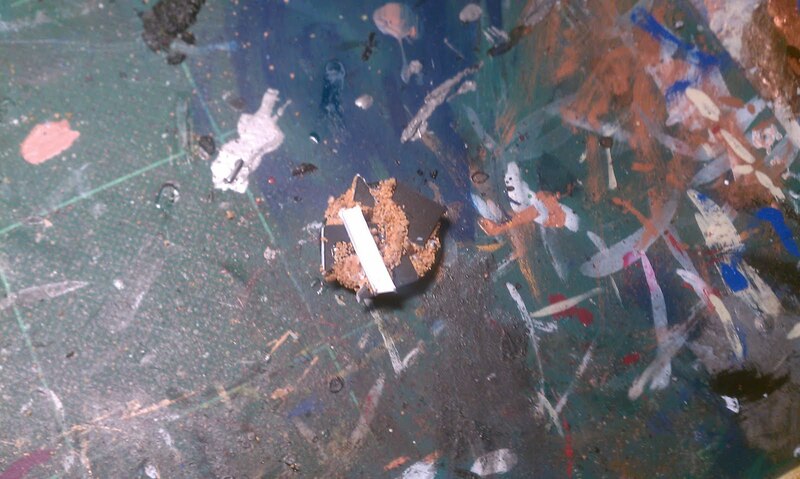 Step 2: Apply wood glue to the cracks before adding grit/sand. 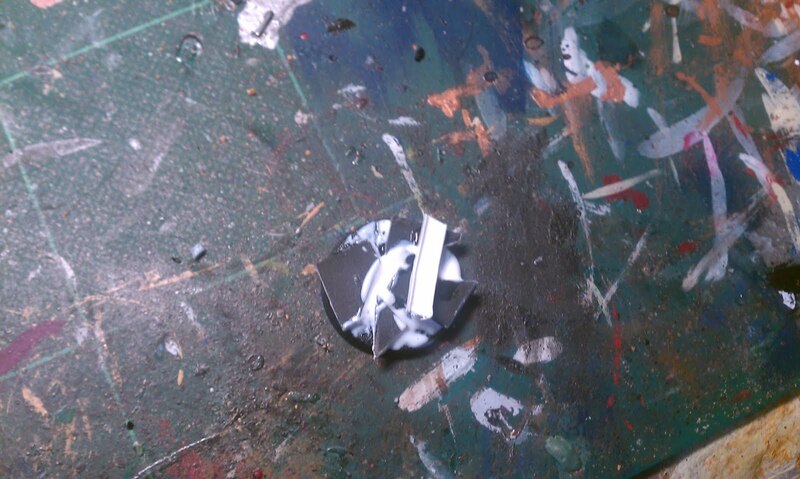 Step 3: Undercoat the base with black spray. 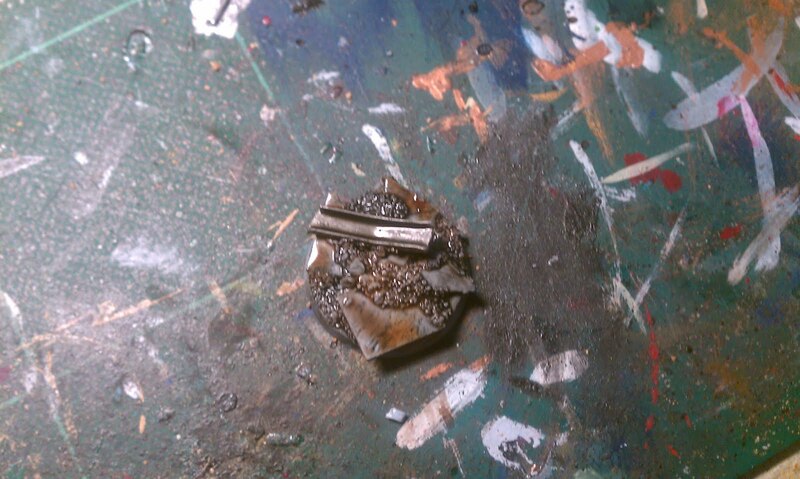 Step 4: Then drybrush the overall base colour. In this case because the tiles and the grit is supposed to be stone I've used Fortress Grey. Step 6: Apply various washes to the base to break up the colours. In this example Badab Black, Gryphonne Sepia and the indispensable Devlan Mud have been used. 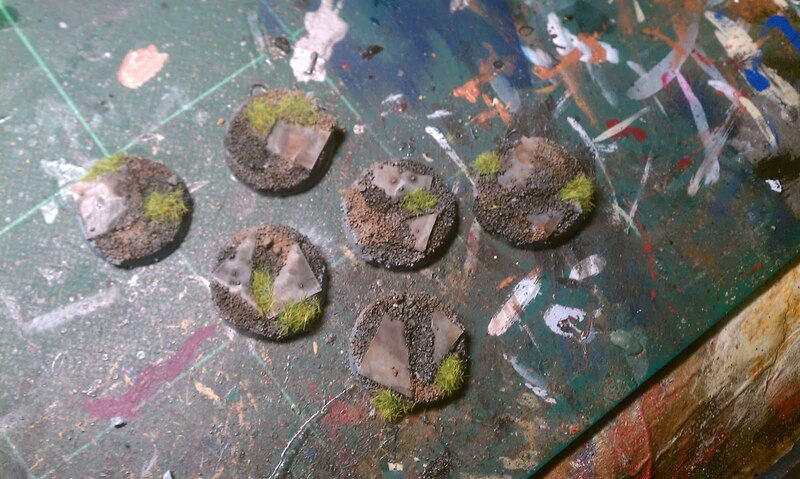 Step 7: Once the washes have dried either add grass flock or leave bare for a more industrial barren look. Either way the whole process to do about 10 bases takes no more than 30mins and makes the models when they are on them look just that little bit better and more impressive. See Justin's Elysian drop troops on industrial bases to get the best example of how good it can look. Looks really good man. 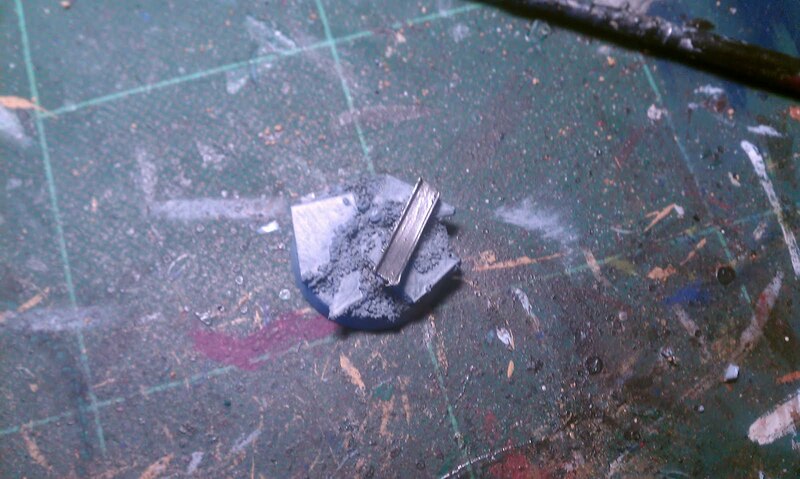 I hadn't actually thought of using the girder like H-section plasticard bits on bases before. nice job dude... what minis are these for?